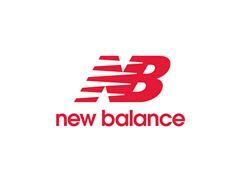 BOSTON, JUNE 2015 – For Summer 2015 Boston-based New Balance will debut new 530 styles for men and women. The New Balance 530, first introduced in the 1990s as a key running silhouette, was re-released in 2014 and will be available beginning July 1 with four new men’s styles and three women’s styles for a suggested retail price of $99.95. The collection, inspired by traditional 90’s colors, remixes neutrals such as black, navy and grey with fluorescent color pops.